When designing for the circular economy, we must bring different groups together and combine the seemingly contradictory. Today’s most intractable challenges require collaboration across companies and industries. Solutions can’t be achieved in isolation, and the best ideas will come when leaders join forces to drive progress. 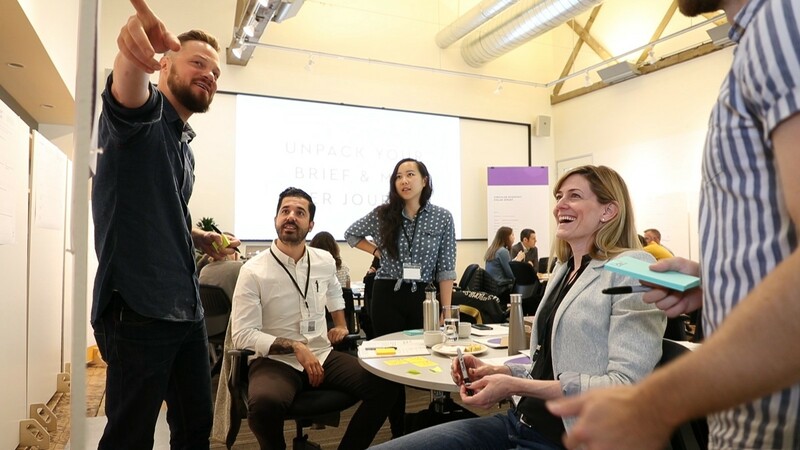 Last year, 50 people from 11 organizations joined the Circular Economy portfolio at CoLab, IDEO’s platform for collaborative impact. 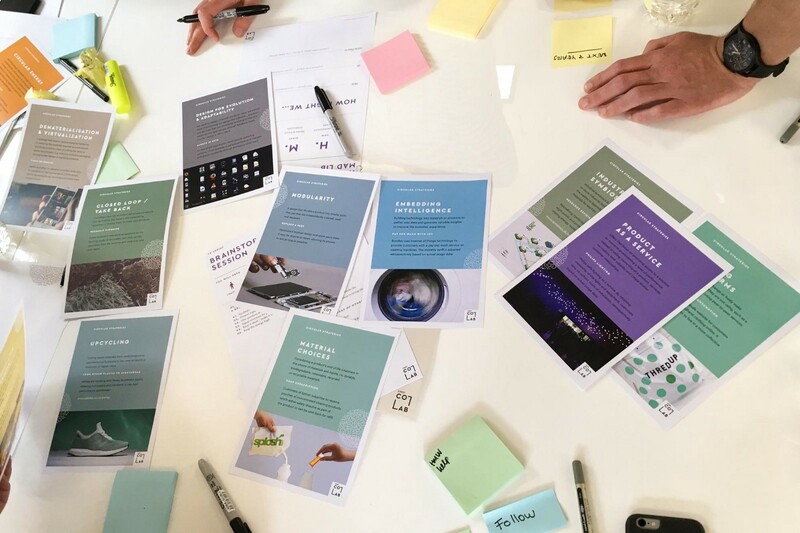 The CoLab brings together stakeholders from across industries, from sourcing to distribution, packaging to retail, waste to finance, and more, all with the goal of designing for collaborative impact. With common needs, different perspectives, and shared skin in the game, representatives from major organizations rolled up their sleeves together. Teams built 17 circular prototypes that are currently in various stages of market-facing development. Despite commonly being thought of as industry competitors, these CoLab members engaged as collaborators to drive a new generation of business. CoLab members from various companies and industries worked together to design prototypes that drive circular impact. It’s not altruistic — it’s strategic. Moving forward, companies will need to work together. But inevitably, this can be tense. We felt polarizations within the cohort as folks shared and challenged each other’s approaches. Do we start with what’s broken or what’s missing? Do we take baby steps or giant leaps? While there isn’t a one-size-fits-all solution, we’re not without a roadmap. In fact, we’ve learned that uniting the following disparate approaches creates a richer context for collaboration and design — helping us get to solutions faster. It’s critical to take in and understand a whole ecosystem from a birds-eye view, whether it’s the food, textiles, or even automotive system. A circular system’s parts — manufacture, distribute, capture, repurpose, and redistribute, for example — depend on and influence each other. Every node must be approached in relationship with every other node. But to take action, it’s helpful to home in and identify specific challenges in these systems. In other words, we must see both the forest and the trees. 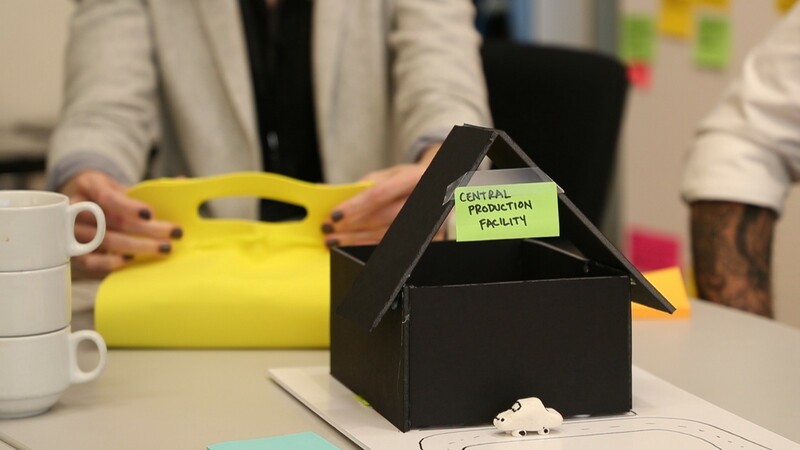 For example, in our recent prototyping sprints, one team began by creating a map of a circular food delivery and return system for apartment dwellers, which enables a shared system for evening meals. They expertly mapped out the food preparation, delivery, consumption, and recovery phases. But the following day, they struggled to define the problem they were solving and felt overwhelmed by the entire system. The team realized that in order to design a solution, they needed to focus on just one part of the system. As the group narrowed in, they discovered an opportunity to design for activities like dish washing and food preparation. Not only did they tease out a concrete challenge to tackle, but they could also see how this specific innovation fit into the entire system. One team discovered an innovation opportunity by zooming in and focusing on a single, specific part of the larger food delivery ecosystem. Some CoLab team members initially worried about losing the big picture by narrowing their attention. But in reality, focusing on one part inevitably clarifies the workings of the whole system. As a result, stronger and more meaningful opportunities for system-wide innovation emerged. Visit IDEO CoLab’s stories collection to read the full article.